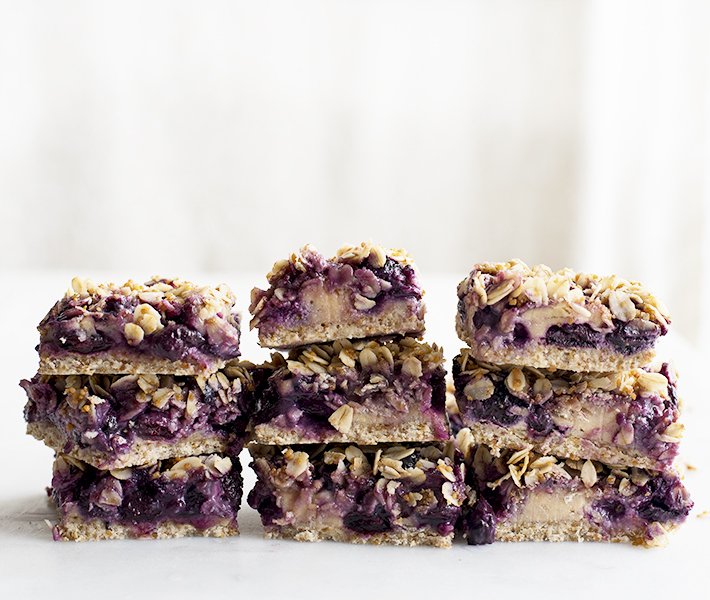 A magical cross between a blueberry crumble and a blueberry protein bar, these treats can be enjoyed at breakfast, as a snack, or even as a dessert. 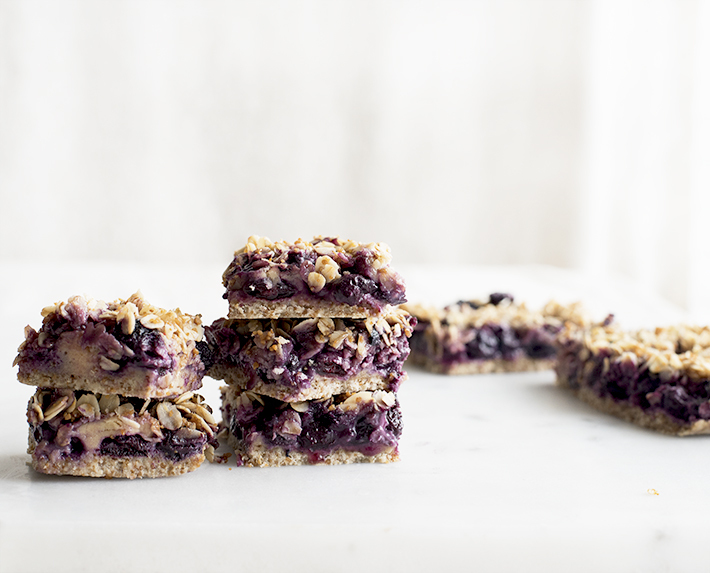 The sweet, crumbly top pairs nicely with the tart blueberries and the crunchy crust, giving you a perfect sweet treat that's surprisingly low in sugar. 1. Preheat the oven to 350 degrees F. Line an 8x8” baking dish with foil or parchment paper and set aside. 2. Stir together all the 1st layer ingredients until mixture turns crumbly. Press down on the bottom of prepared pan until crust is formed. 3. Stir together 2nd layer ingredients and spoon on top of crust. 4. 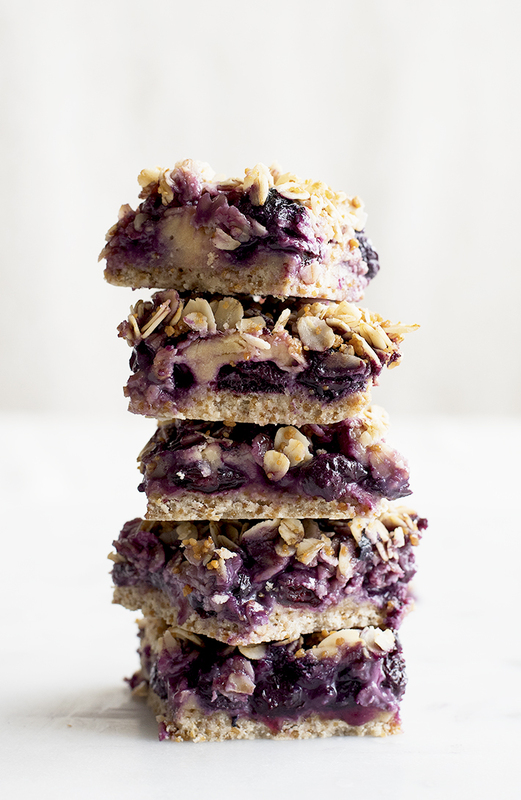 Stir together 3rd layer ingredients until all of the oats are coated with coconut oil. Sprinkle on top of blueberry layer. 5. Bake in the oven for 32-26 minutes, or until oats are golden brown. Remove from oven and let cool about an hour. 6. 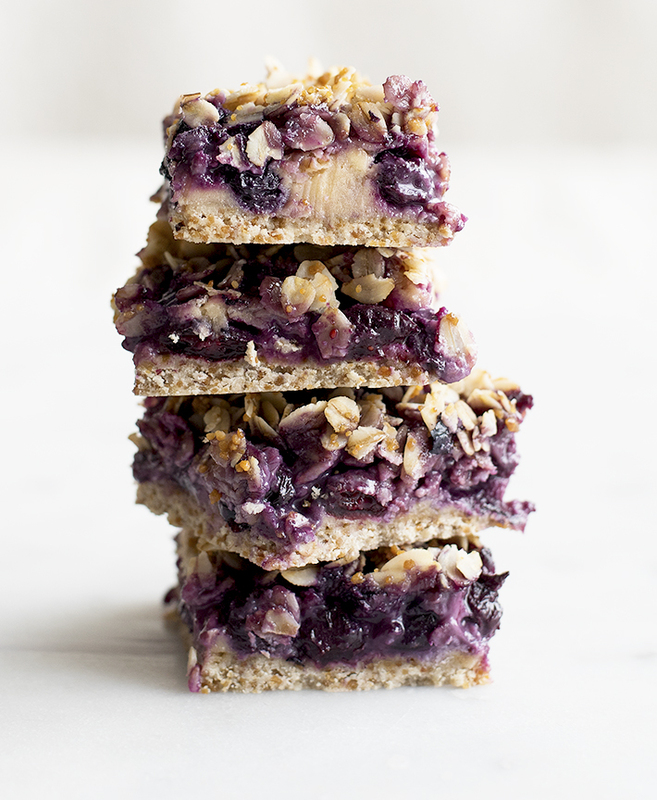 Slice into 16 squares and enjoy!